Expecting moms are going through a transformational experience as their baby grows and thrives inside of them. At Foundation Family Chiropractic, we understand the unique demands that pregnancy places on a woman’s body and can help you enjoy the best of health for an optimal pregnancy. Our first goal for you as a pregnant practice member is to keep you healthy and able to do the things you want to. Secondly, we want to align your pelvis so that your baby can have room to grow and develop. Both of these outcomes are a result of allowing your body and your baby’s body to do what they were created to, expressing total health and optimal function. It’s best to start chiropractic care as soon as you find out you’re expecting, so we can then work to eliminate the risk of common issues such as sciatica, low back pain and headaches. Our initial examination process is designed to check that chiropractic care is completely appropriate for you before we move forward. Dr. Kyle tailors his adjustments to your needs, with comfortable pregnancy pillows and lower-force techniques. Dr. Kyle is certified in the Webster Technique, which assists with aligning your pelvis. Studies support that moms under chiropractic care during their pregnancies require fewer interventions, have shorter labor times and less complications. When your baby is born, we welcome them to become a practice member too. Dr. Kyle has training in pediatric care and understands the gentle touch that they require when there is a structural problem present. Even a natural birth puts pressure on the baby, and in studies, up to 80% of newborns have been shown to have a subluxation. The absence of problems doesn’t always indicate perfect health, either, since babies can’t tell us when something is wrong. With a chiropractic checkup, we can make sure their nervous system functions as it should, avoiding many common pediatric issues. 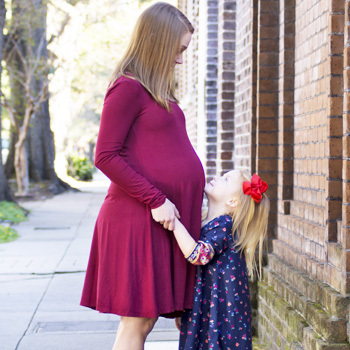 Contact us today to discuss starting pregnancy care in Summerville! We accept all insurance plans.